Pittsburgh is the City of Champions. With six Super Bowl championships, four Stanley Cups and five World Series victories, it’s no wonder Pittsburgh is regularly named the Best City for Sports. Pittsburgh is legendary in many ways. Top-notch facilities, affordable accommodations, authentic culture and iconic attractions make it the ideal destination for all levels of sports events – from professional to youth activities. The David L. Lawrence Convention Center, located in downtown Pittsburgh, features 345,010 sq.ft. of total competition space. The Platinum LEED-certified green convention center features 53 meeting rooms ranging from 369-7,893 sq.ft., a skywalk to the 614 room Westin Hotel and a 700-space parking garage. The DLCC is in walking distance to PPG Paints Arena, Heinz Field, PNC Park, 200 restaurants and over 4,500 hotel rooms. 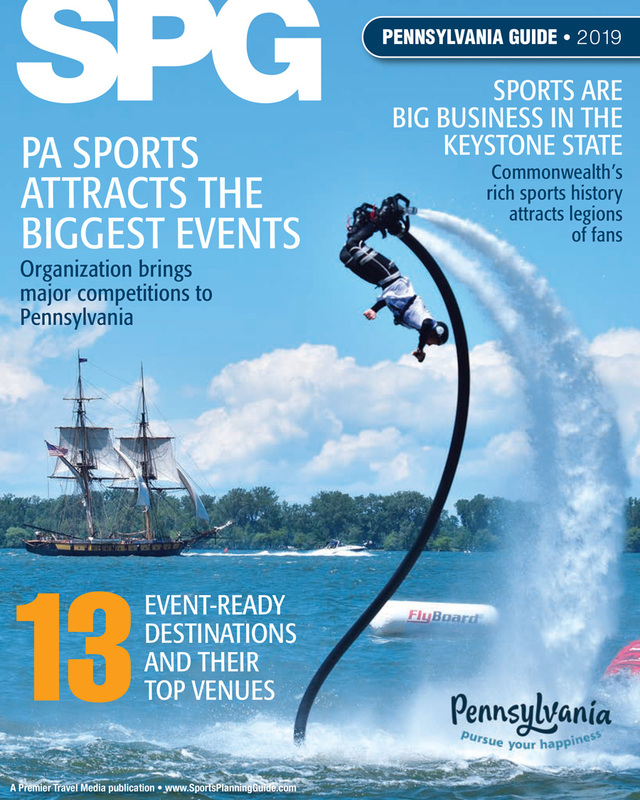 The DLCC has previously hosted USA Gymnastics National Congress and Trade Show, USA Karate National Championship and Team Trials, East Coast Volleyball Championships (annually), Hoop Group Pittsburgh Jam Fest (annually), Connect Sports Marketplace, NGB Best Practices and Olympic SportsLink, and National Veterans Wheelchair Games. PPG Paints Arena is the home of the Pittsburgh Penguins, it is the only NHL LEED gold certified sports facility in North America. The 29,095 sq.ft. (253' x 115') column-free arena features an NHL-sized rink (200' x 85'), 4 meeting rooms ranging from 600-2,600 sq.ft., 2,000 club seats, 64 suites, all digital signage and a hotel attached. The facility can accommodate 18,087 spectators for hockey, 19,100 for basketball, and 16,280 for arena football. PPG Paints Arena has previously hosted NCAA Frozen Four Hockey Championship, P&G Gymnastic Championship, NCAA Division I Men’s Basketball 1st and 2nd & 3rd rounds, and USA Hockey Sled Classic. Island Sports Center features a 75' ceiling height for all indoor facilities, electronic scoring, 3 meeting rooms, a strength and fitness center, locker rooms, a hockey and skate pro shop, concessions, a bistro, an arcade, free WIFI access and over 600 parking spaces with motor coach parking. There are more than 1,600 hotel rooms within a 10 minute drive. Island Sports Center has previously hosted USA Hockey District and National Championship Tournaments, National Short Track Speed Skating Championships, Junior Olympic Figure Skating Championships, U.S. Collegiate Figure Skating Championship, Tropicurl International Curling Championships, NCAA Track & Field NEC Championships, and U.S. National Frisbee Championships.